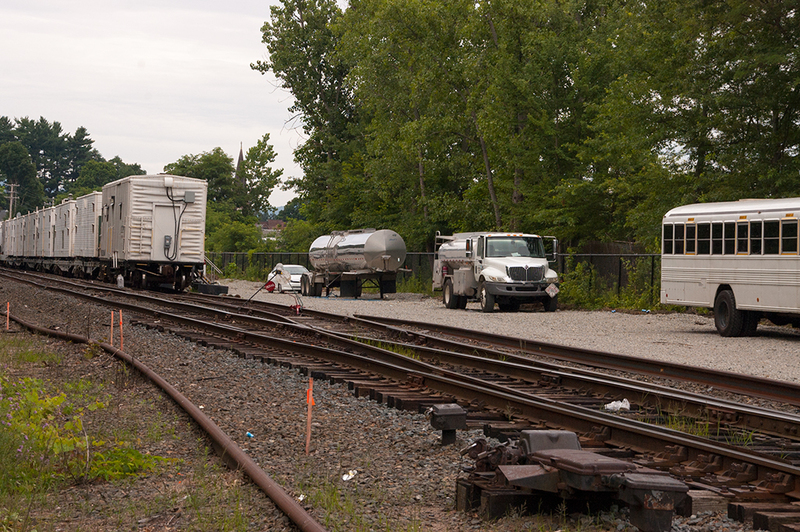 Norfolk Southern’s camp train visits Northampton. NS’s camp train set up to house the crew working preparing the Connecticut River line for Amtrak service. After years of discussion and planning and more discussion and criticism and a bit of arguing and yet more discussion followed by what amounted to only a few months worth of work (spread out over a number of those years) Pan Am’s Connecticut River Line is almost ready for it’s first revenue passenger run in 25 years. 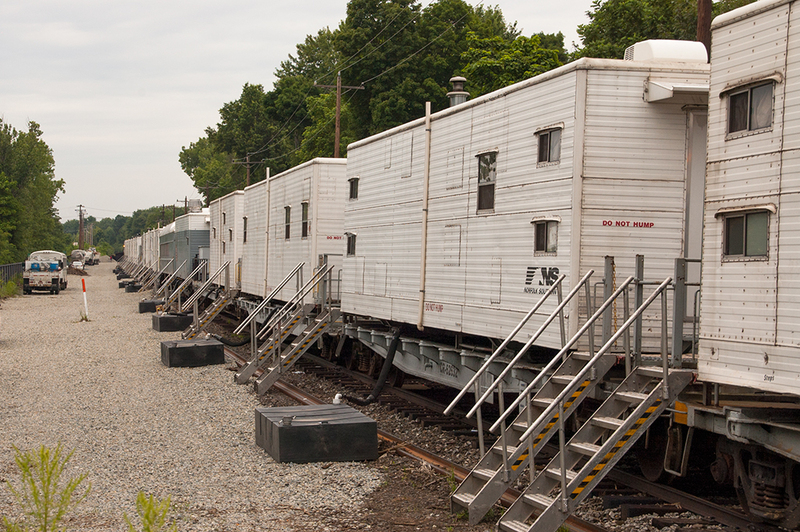 The work peaked in July when Norfolk Southern’s camp train and a small army of track workers arrived.The camp train which consisted of a number of flat cars with bunk modules, generators and other miscellaneous structures, a dining car: The Spirit of Tim Drake, and at least one elderly boxcar that appeared to be used for storage. Pan Am spotted the train just north of downtown Northampton, presumably because that was the most centrally located siding with vehicle access. This being Northampton, the train elicited a good deal of local attention (ire,) because people here like to eat their cake but don’t want to see, hear or smell it baking. 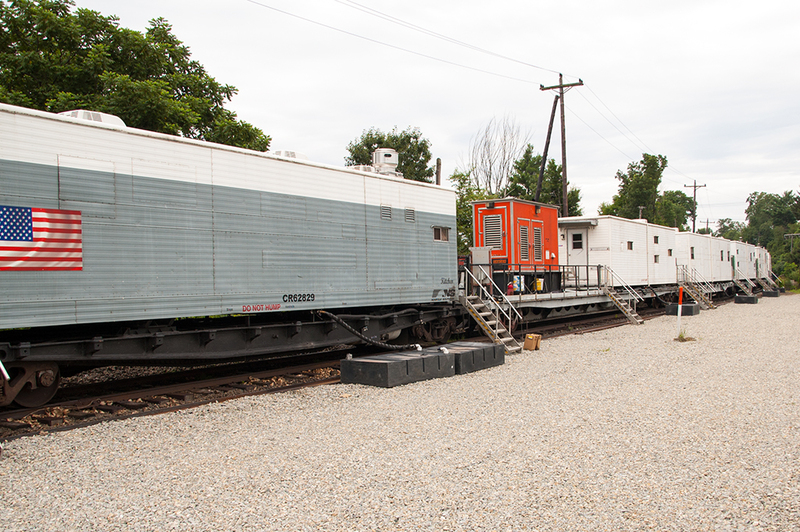 Some sort of equipment car and one of the train’s generators. The Spirit of Tim Drake. The end of the train with various MOW vehicles. 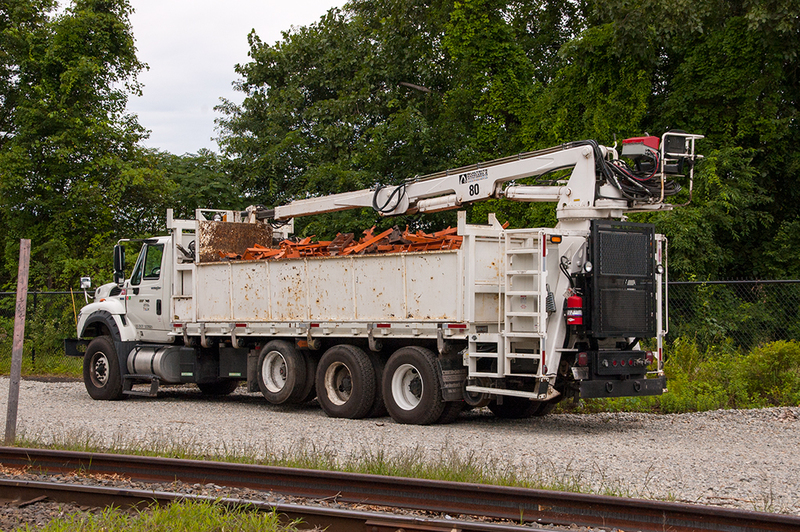 A high rail truck that the crews were using to pick up lineside debris. 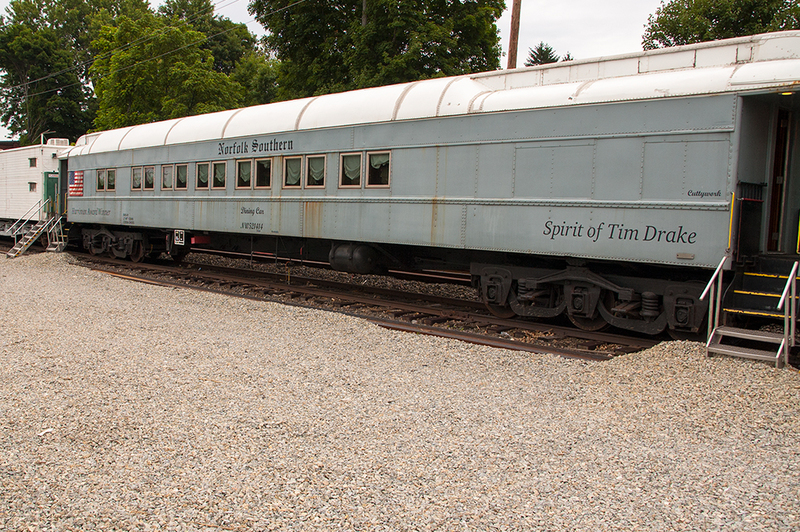 This entry was posted in Railfanning and tagged AMTK, Amtrak, Norfolk Southern, Northampton, PAR by Milepost15. Bookmark the permalink. Great that you got to cover this some. As a railroader and writer, this inspires me to write about the good ol’ days spent on the track, especially now that I’m office-bound. I loved the link, NIMBY’s are such DRAMA QUEENS….